Share this product and receive a $0.77 sharing discount. 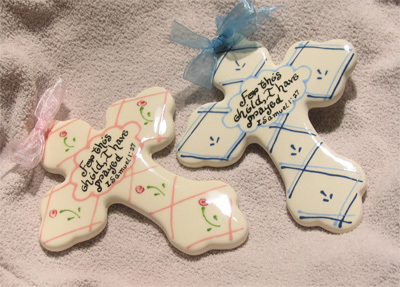 "For this child I have prayed" ceramic handpainted cross. Taken from I Samuel 1:27. 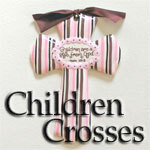 This is a wonderful gift for a new baby, christening, baptism, or dedication. Measures 4.5" x 3.5".